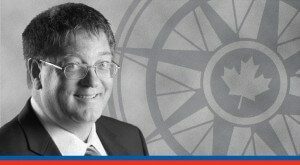 Minister Wilson-Raybould has tackled one of the most pressing issues of our times – Indigenous legal and constitutional rights – with grace and determination, writes Ken Coates. Jody Wilson-Raybould is a truly impressive individual. Having followed her career in Aboriginal politics with interest over the years, I was delighted to learn that she was giving the introductory address at a governance conference at Queen’s University. In that formal scholarly setting, Wilson-Raybould did a remarkable job of setting the tone for the conference, challenging academics to produce more creative approaches to Indigenous administration and, in particular, to Indigenous-government relations in Canada. She argued that the status quo was unacceptable but also made it clear that there was no simple or obvious solution to a set of issues hundreds of years in the making. In a field often given to polemics and strong opinions, Jody Wilson-Raybould adopted a practical, problem-solving approach. As one of the most important cabinet ministers in the Government of Canada, Wilson-Raybould is still as refreshing and straight-forward as she was in her time before entering federal politics. She has tackled one of the most pressing issues of our times – Indigenous legal and constitutional rights – with grace and determination. She has navigated the uneven terrain between Indigenous politics, federal politics, the civil servants of the Department of Indigenous and Northern Affairs Canada, and a highly sensitive general public. Her unflappability has served her and the government well as the complications of treaties historical and contemporary, numerous court challenges and decisions, wide-ranging Indigenous demands, complex Indigenous positions on resource development, and the many shortcomings of federal Indigenous policies play themselves out in national politics. Wilson-Raybould’s greatest achievement – and this is no small feat – is that she has shifted, with the full support of the Prime Minister and his cabinet, Indigenous affairs from the margins to the centre of Canadian politics. She has accomplished this through her knowledge of the file and her forceful, yet understanding approach to the Canadian business community and non-Indigenous people generally. Together with Assembly of First Nations National Chief Perry Bellegarde, she has taken one of the most divisive issues in Canadian public affairs and made it accessible and yet still urgent. She knows that the Canadian public is not yet fully onboard but has managed to push the most aggressive Indigenous agenda in Canadian history without producing a sustained backlash against Indigenous peoples and the Government of Canada. Wilson-Raybould is changing Canada and Canadian politics in the most valuable ways: by introducing bold and constructive policies while challenging the country to change the way it is governed. She is one of the remarkable group of female cabinet ministers who have demonstrated that Prime Minister Justin Trudeau’s commitment to gender equity truly was more about unleashing political potential than making grand symbolic gestures. Minister Wilson-Raybould, a member of the We Wai Kai Nation, is also the most influential Indigenous federal politician in Canadian history, although it misrepresents her contributions to the government and to Canada to label her an “Aboriginal politician.” She has managed a diverse and exacting portfolio with grace and competence – while leading the government’s efforts to redefine the nation-to-nation relationship sought by Indigenous peoples in Canada as promised by Prime Minister Trudeau. Minister Wilson-Raybould, a member of the We Wai Kai Nation, is also the most influential Indigenous federal politician in Canadian history. Wilson-Raybould came to federal politics in a unique manner. The daughter of prominent – and provocative – Kwagiulth hereditary chief Bill Wilson, she emerged from often fiery and always intense world of British Columbia politics. Educated as a lawyer, she had a diverse career before entering national Indigenous politics, serving as a Crown Prosecutor and advisor to the BC Treaty Commission. As the Regional Chief for British Columbia with the Assembly of First Nations, she made major contributions to the development of Indigenous self-determination and effective governance. Capitalizing on the Government of British Columbia’s more conciliatory approach to Indigenous affairs, Regional Chief Wilson-Raybould helped shape a more promising agenda in a province long-known for conflict between provincial and Indigenous leaders. Jody Wilson-Raybould came to national prominence as the co-chair of the 2014 Liberal convention, held in Montreal. Her political potential, long known to observers in British Columbia, had found a national outlet. She accepted Liberal leader Justin Trudeau’s encouragement to seek the nomination in Vancouver-Granville. She won the nomination and then the seat in the 2015 federal election. She was subsequently appointed Minister of Justice and Attorney General of Canada. As Minister of Justice, she has played a prominent role in the development of federal Indigenous policies, including shaping the government’s evolving position on the United Nations Declaration on the Rights of Indigenous Peoples (UNDRIP), reviewing the foundations of the federal relationship with the First Nations, Inuit and Métis, and restructuring Canada’s legal arrangements with Aboriginal people in Canada. Wilson-Raybould’s contributions are numerous and extend beyond the specific confines of Indigenous policies and the law, but here her impact has been substantial. Together with her cabinet colleagues Carolyn Bennett and Jane Philpott – a triumvirate of unusual talent and even greater determination – she is directing a “whole of government” approach to rebuilding relations with Indigenous governments, organizations and peoples. While the government’s promises have, to date, been more substantial than its accomplishments, significant progress has been made in building the underpinnings of new political and structural approaches to Indigenous affairs. Wilson-Raybould’s contributions are numerous and extend beyond the specific confines of Indigenous policies and the law. Indigenous organizations remain as vigilant and assertive as ever, but close observers of federal politics know that groups like the Assembly of First Nations, Métis National Council and the Inuit Tapiriit Kanatami have been drawn into the productive co-production of policy processes and more collaborative approaches than in the past. Canadians have become used to Indigenous political activism – the spirit of Idle No More lives on in powerful ways – but the Trudeau government has awakened the country to the prospect for real and sustained change in both policies and, even more promising, Indigenous outcomes. For generations, Canadians have been used to seeing Indigenous policy-making as an important but marginal element in national politics. Occasional conflicts brought Indigenous affairs to the fore, but the troubled nuances of reserve water policy, Indigenous economic development, modern treaties and social programs rested on the periphery of Canadian politics. With Minister Wilson-Raybould in a prominent cabinet position, and with the force of her personality, political instincts, and insights into Indigenous policies, she has been pivotal in regularizing the national prominence of Aboriginal affairs. The Trudeau government has succeeded in ensuring that Indigenous matters are viewed as among the most important questions facing the country. The ground has been prepared for a substantial, sustained and, one hopes, successful effort to address the economic, social, political and cultural needs of Indigenous people in Canada. The most effective federal politicians in Canada often work behind the scenes, developing ties with their provincial, territorial and, in this case, Indigenous counterparts. They work on structural matters – less newsworthy, perhaps, than large-scale budgetary announcements – and on shifting the legal and policy foundation in Canada. One of Minister Wilson-Raybould’s main tasks – identifying new approaches to legal relations between Canada and Indigenous peoples – has the potential to restructure and regularize a system that has become a focus for contention and conflict. This is not the “stuff” of high politics, but it has the potential to shift relations with Indigenous peoples from the courts, time-consuming and expensive, to more collaborative, problem-solving partnerships between the federal government and Indigenous authorities. Canadians, in the main, under-estimate the important roles that Minister Wilson-Raybould plays in national affairs. She has toned down the rhetoric on Indigenous affairs, pushing for new approaches in cabinet and Parliament, and working with her colleagues and Indigenous groups to build a foundation for long-term partnerships. She has run her Ministry with skill and integrity, avoiding the controversies that are commonplace with first-time cabinet ministers, and developing a national reputation for calm leadership. Jody Wilson-Raybould is a politician to watch. Her broad contribution is perhaps without parallel in the current Liberal government. As an Indigenous leader willing and able to speak bluntly and forcefully to her counterparts in Indigenous organizations, she has developed an audience for constructive change. Driven by the family passion for justice for Indigenous peoples, schooled in the hard-knock world of First Nations politics in British Columbia and well-aware of the social challenges facing Indigenous peoples across Canada, Minister Wilson-Raybould is a powerful and unrelenting advocate for true social justice. By giving a new face to Indigenous affairs in Canada – and with a sweeping impact on her portfolio and on the broader government – Jody Wilson-Raybould has built the most powerful 21st century persona in federal politics. More than any other federal politician, she has presented a vision for the transformation of Canada, breaking away from the tired and harmful policies of the past and creating the foundation for a new Canada where Indigenous peoples are – finally and firmly – true partners in Confederation. She has demonstrated that the country need not remain locked in the past and can contemplate dramatic changes in the political status quo. Where else in government are we seeing such transformative rebuilding of policy and the civil service? Through the force of her personality combined with her confidence, Minister Wilson-Raybould has made it clear that a country that is based on real collaboration with Indigenous people is actually a much better place, for Indigenous and non-Indigenous peoples alike. One gets the sense that she is just getting started. Kenneth S. Coates is MLI’s Munk Senior Fellow in Aboriginal and Northern Canadian Issues. He is the Canada Research Chair in Regional Innovation in the Johnson-Shoyama Graduate School of Public Policy at the University of Saskatchewan.